David has been a Financial Planner for since 2008. After senior planner roles with a number of financial institutions, David enjoys the challenge and rewards of running his own Financial Planning practice. David has undertaken continued studies and workshops to enhance his expertise as a Financial planner. Having obtained a Diploma in Financial Planning many years ago, David went on to obtain the highest qualification of the financial services industry – Certified Financial Planner. David is also a member of the Financial Planning Association. 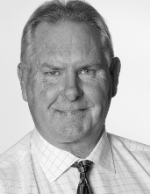 As an Authorised Representative, David believes in helping his clients build a comprehensive program to make the most of their earning potential during their working years, as well as helping them with their retirement planning, superannuation, risk insurance and estate planning needs. He achieves this by striving to provide quality advice, personalised service and practical ideas to deliver superior solutions that his clients can easily understand.